Students investigating how elevation and pressure affect the flow of water. 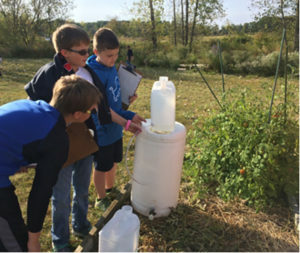 The STEM class for third, fourth and fifth graders at Sand Lake Elementary, in the Tri County Public Schools District, is one of the five programs in schools across the state selected to receive one of the 2018 Education Excellence awards for their work to create opportunities and help build stronger, brighter futures for their students. Each school will receive a $2,500 grant from the SET SEG Foundation, in partnership with the Michigan Association of School Boards (MASB). 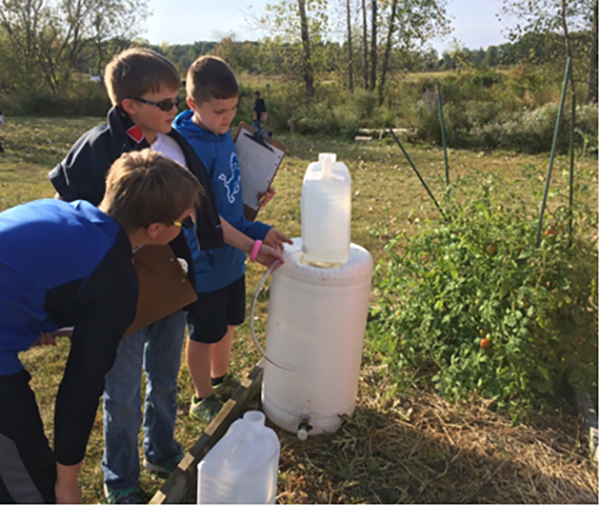 According to Sand Lake STEM teacher Polly Bolt, the mission of the STEM class is to provide project-based, authentic learning experiences in which students incorporate science, technology, engineering and math. 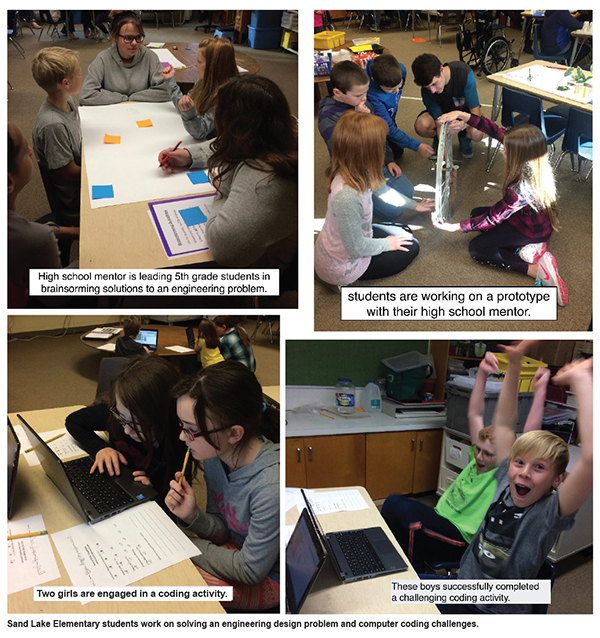 “ Each year, all of our district’s 3rd, 4th, and 5th grade students attend STEM class as a ‘special’ (similar to art, music, and physical education), which runs the full year. Teaching students for all three years they are in our building, I have the opportunity to build on and enhance the students’ learning experiences from previous years,” she explained. Kent Intermediate School District’s program, MySchool@Kent, a student-centered, teacher-driven school, featuring online instruction with extensive support. Be True 2 You at Greenville Public Schools, a program that inspires girls to develop and maintain healthy relationships, create a keen sense of self, and recognize the impact they can have on their community. Ionia Public Schools After-School Panther Learning Club at Twin Rivers Elementary School, focuses on homework completion and reading for students that are falling behind. The Bulldogs Bookin’ Bus through Otsego Public Schools encourages students to read over the summer by visiting key neighborhoods in the district, allowing students to check out books twice a week.